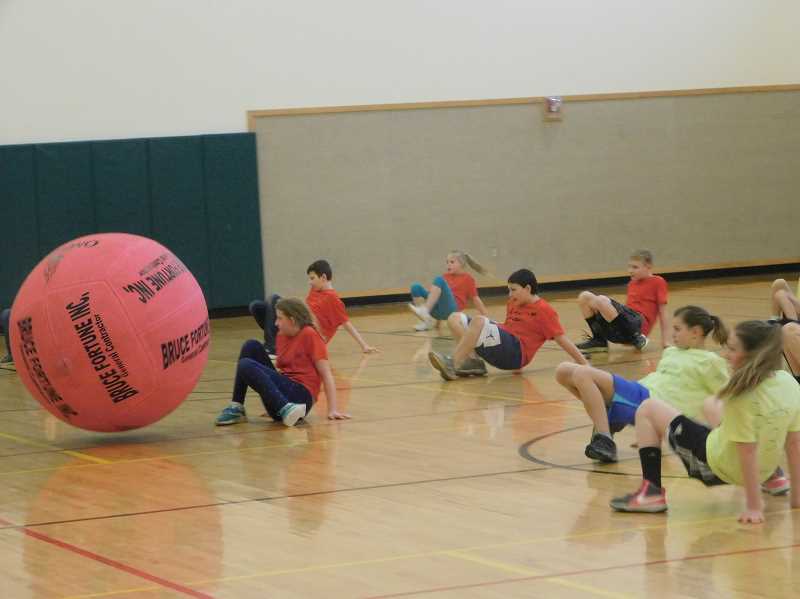 Last week, students at River Mill Elementary School gathered to cheer for their schoolmates who were participating in the annual Sports Challenge. 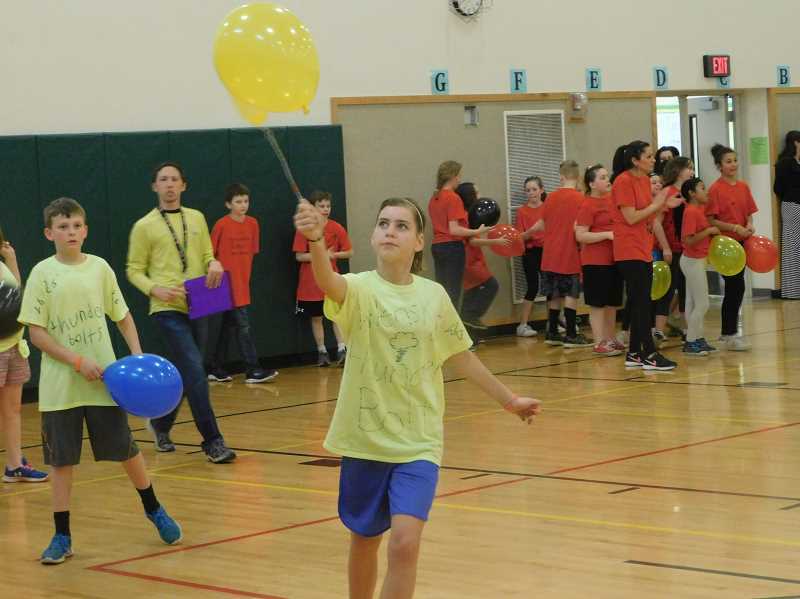 During the event, which is in its 30th year, fifth grade students competed in a variety of activities, including transporting balloons with fly swatters and then popping them, as well as carrying tall stacks of boxes across the school's gym as quickly as they could. In the championship event on Friday, March 24, Gate's American Eagles earned first place, and Wilensky's Thunderbolts won second place. 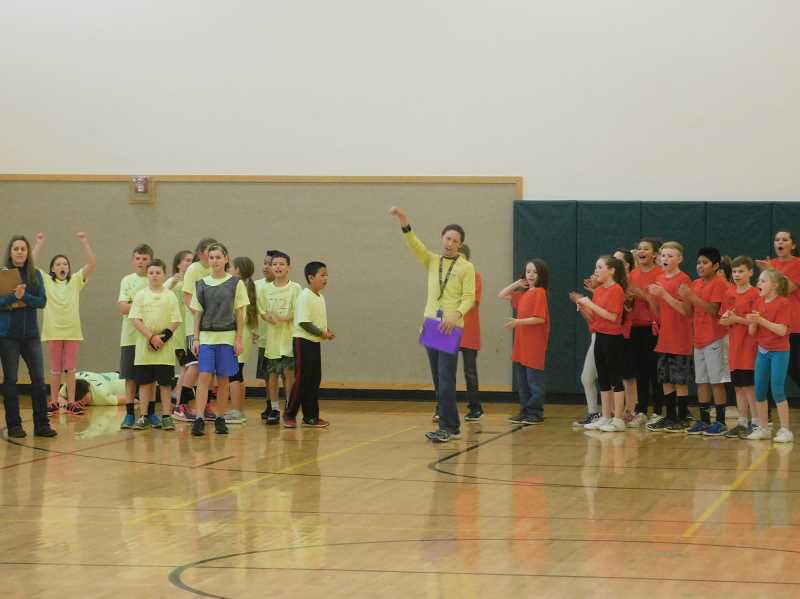 Estacada School District Communications Coordinator Maggie Kelly said that the event is a positive way to send students off to spring break. 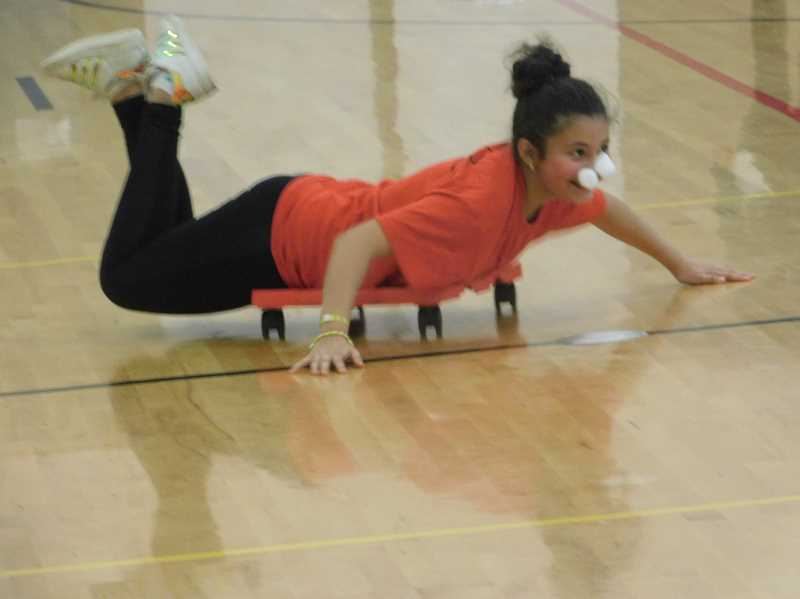 "The Sports Challenge makes school fun, and really unifies everyone," she added. "It's pretty heartwarming to watch the kids cheer for and support each other."